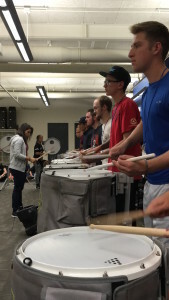 DENVER, CO – The Blue Knights held their first 3-day BKXperience Audition clinic weekend for the 2016 season which saw an all-time record attendance for the Blue Knights. This BKXperience camp was held at Englewood High School with positive reports from all areas of the Blue Knights organization. This BKXperience camp also saw over a dozen attendees going through a new drum major leadership experience program with an opportunity to become the next Blue Knights drum major for 2016. This is the second year the Blue Knights formally held the BKXperience Audition camps with a two-fold purpose–to hold auditions and educate those who wish to become better performers. This weekend’s attendance saw over 250 participants evenly balanced among brass, percussion, color guard and drum major (new for 2016). 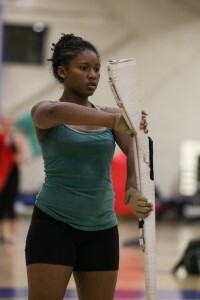 In addition, the level of talent was some of the best seen at Blue Knights auditions in November in recent years. Next up: BKXperience 1-Day Clinic in Lake Elsinore, CA on Sunday November 29, 2015, hosted at Temescal Canyon High School for brass, percussion, and color guard from 10:00am to 8:00pm. Check-in starts at 9:00am. Also, the next BKXperience 3-day clinic in Denver, CO will be on December 18-20, 2015 in Denver. » Visit our Audition Experience page to learn more and register!